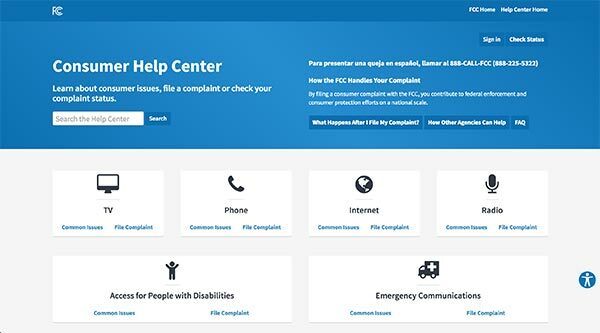 Greater transparency is one of the goals of our Consumer Help Center, which for over a year now has been the FCC’s primary online destination for learning about consumer telecommunications issues, filing informal consumer complaints and finding out what other consumers are concerned about. In keeping with that commitment, we have made more and more consumer-complaint data publicly available through the Consumer Help Center – publishing weekly updates to a variety of charts, maps and spreadsheets. All the while, though, we’ve had something more in mind: handing the keys to the data directly to the public. And so today, we’re pleased to unveil our new Consumer Complaint Data Center, which will make available granular complaint data that is automatically updated daily, resulting in more up-to-date data being made available to the public. 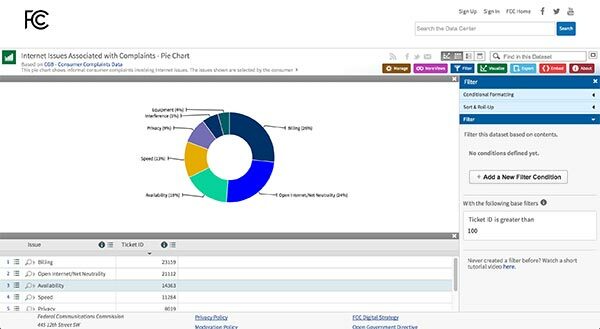 The new Consumer Complaint Data Center will integrate charts, maps and search features with an online database of granular complaint data (see sample illustration, below). Now, anyone can access this detailed data, create dynamic visualizations and download the charts, graphs and maps. The new Complaint Data Center also incorporates a responsive design – automatically resizing for display on mobile devices such as phones, tablets and laptops. By engaging with the data, consumers can better understand telecommunications issues they may be facing as well as how many other consumers share similar concerns. Researchers and developers can also benefit with the ability to extract and manipulate data, allowing them to identify complaint trends and analyze the data. The Data Center is the newest platform extension for the Consumer Help Center, where you can file an informal complaint or learn about a range of issues related to wireless or wireline phone and broadband services, TV, radio, accessible technology or emergency communications. Reaching this new milestone in transparency will help us raise public awareness about these important issues. As one of the first government agencies to move data to the cloud, we’ve learned what it takes to integrate capabilities and embrace the new technology created by modern cloud solutions. We’re excited to see the innovations and analysis that end-users will come up with using this new advanced tool. We welcome your feedback and comments. Please email us. This post was originally published on the FCC blog by Alison Kutler, chief of the consumer and governmental affairs bureau, and Dr. David Bray, FCC Chief Information Officer. « Trends on Tuesday: What Kind of Apps Will Users Return To?